The Skull Defekts have long been one of the most baffling, wonderful, and unpredictable bands in underground music, equally likely to dazzle, disappoint, or just thoroughly confuse me with each fresh release. While far from infallible, they were also a restlessly experimental, viscerally heavy, and frequently fascinating creative force. Consequently, I am very sad to see them go, as The Skull Defekts is the band's farewell album (though a bit of the band's brutal alchemy continues to live on in The Orchestra of Constant Distress). 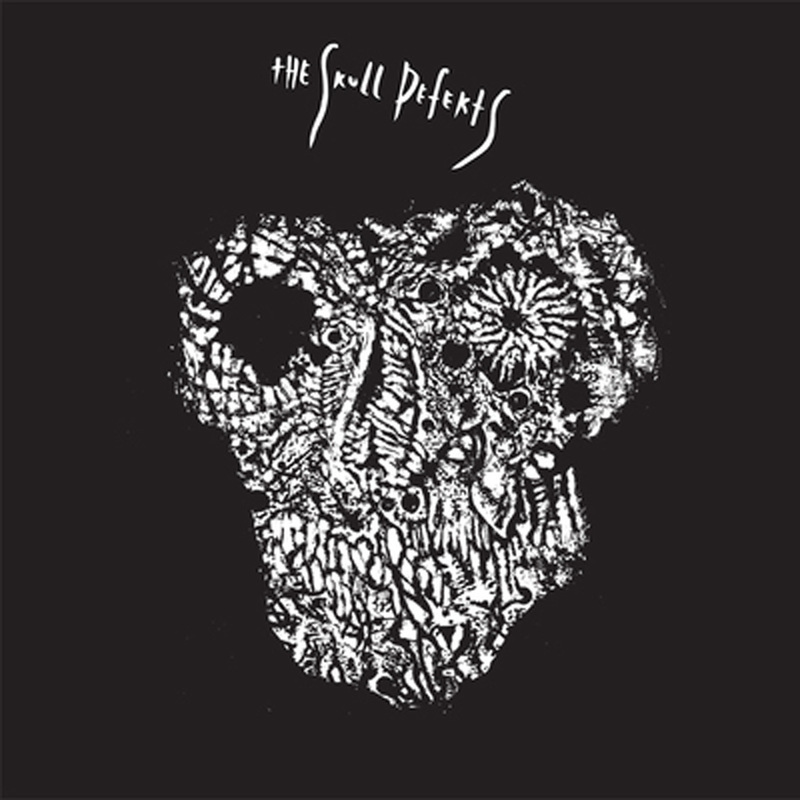 As far as swan songs go, however, I am pleased to say that The Skull Defekts' final chapter is an especially strong one, inventively balancing noisy experimentation, art-damaged rock, and visceral brute force. It recently occurred to me that my longstanding sticking point with The Skull Defekts is that they are essentially a wonderfully explosive noise band/art project that seems inexplicably hell-bent on masquerading as a rock band (at least for their Thrill Jockey albums). Sometimes their ruse works wonderfully and they are able to brilliantly distill that firepower into something hooky and songlike, but it also can be kind of an awkward fit, as this collective is just too fundamentally volcanic and idiosyncratic for conventional music. The face-melting opener "A Brief History of Rhythm, Dub, Life, and Death" is an especially powerful illustration of what this foursome are capable of when they completely disregard lyrics, riffs, choruses, and verses and just rip it up. It is noise at its absolute best, erupting as a cacophonous juggernaut of stomping kick drum, clattering junkyard percussion, blown-out bass, and vicious snarls of strangled feedback and mangled electronics. It never evolves into anything more and it truly does not need to, as it is a perfect and dynamically satisfying baseball bat to the face from start to finish. The following "Clean Mind" initially does a stellar job of following that seemingly impossible-to-follow opening salvo, as the band locks into a wonderfully bludgeoning bass and drum groove beautifully enhanced by some unexpected industrial percussion. The chorus riffing eventually loses me a bit, sadly, yet it is still ultimately quite a wonderfully feral song, sounding like a death-rock A Place To Bury Strangers that have completely gone off the rails into a frenzy of bent notes and feedback howls. That bracingly heavy one-two punch is certainly an attention-grabbing way to open an album, but the Defekts get a bit artier and more varied once the dust settles. Although disappointingly brief, "The Dance" is a swaggering and simmering fully formed song that intriguing marries a playfully funky, palm-muted strumming pattern with gnarled, ugly riffage worthy of Godflesh. 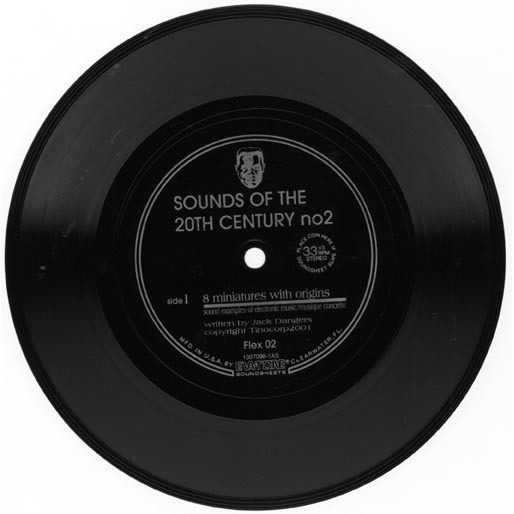 Significantly, the larger-than-life presence of Daniel Higgs is absent on this album, but that perversely benefits the band, as he always had a tendency to eclipse nearly everything around him. The current vocalists, Joachim Nordwall and new member Mariam Wallentin, blend into the underlying music quite a bit more seamlessly, making it much easier to notice Fagerström's densely churning riffs and The Skull Defekts' absolutely punishing rhythm section. I hate to bring up Godflesh again, but The Skull Defekts share an intuitive grasp of what makes heavy music great with Justin Broadrick: the sludgy tempo, the seismic percussive assault, the brutal guitar tone, and the absolutely ruthless sense of unstoppable forward motion. No frills, no clutter–just focused, relentless intensity. In the case of The Skull Defekts, however, that bulldozing power is not always the raison d'etre, as it is sometimes twisted into a hooky rock-like structure or employed as the foundation for something a bit artier or psych-damaged. Wallentin's songs definitely tend to fall into the "arty" category, particularly "Slow Storm," which features a bloodless, poetic monologue over pummeling tribal toms and lysergic swaths of guitar noise. Stretching out into a heavy, trancelike groove suits The Skull Defekts especially well. Unexpectedly, however, the band also managed to craft a couple of strong would-be singles this time around too (their poppier instincts have historically been derailed by an excess of intensity or obtuseness). The strongest of the pair is "All Thoughts Thought," which blends taut post-punk riffing with howls of noise and reverberating metal percussion. "The Beauty of Creation and Destruction" has a similarly punchy foundation, but takes a much richer direction harmonically, fleshing out the arrangement with vibrato-enhanced chord washes and a descending piano melody. Being the final song on the album, it has the honor of being The Skull Defekts final farewell and it is an unexpectedly tender one: gradually all of the heavier bits fall away to leave only an elegiac coda of maracas, piano, and a blearily moaning synth undercurrent. Admittedly, I do not quite love (or even like) every single song on this album, but there are not any real missteps and the oft-crushing, laser-focused execution easily outweighs any wobbles in judgment. The Defekts have always been a chameleonic entity (sometimes maddeningly so), yet they have always been strikingly good at distilling their disparate influences into something that still sounds uniquely their own. All of that remains true with this album. The key thing is mostly that this is an especially strong batch of songs that have been painstakingly sculpted to sinewy perfection: when they are firing on all cylinders, The Skull Defekts tend to be better than any of the bands that they might resemble. And sometimes they even kick open some new doors themselves. With this record, they are in peak form on both fronts. This is my favorite Skull Defekts album in a long time and "A Brief History" may very well be the single best song that they have ever recorded, which begs the question "wait-you're breaking up now?!?" Knowing exactly when to leave is an undervalued skill, however: it is far better to close with an excellent album and leave everyone lamenting that they did not appreciate The Skull Defekts more when they had the chance than soldiering on when it does not feel right anymore. As bittersweet as this farewell is, The Skull Defekts certainly does a stellar job of bolstering their messy, strange, and fitfully brilliant legacy.